Launched as a pilot project in 2015 along with Tata Trusts, "Internet Saathi" focuses on educating women to use the Internet who then impart training to other women in their community and neighbouring villages. 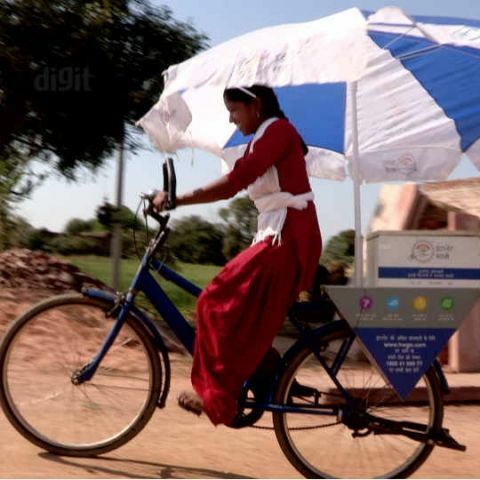 After bridging the digital gender divide and empowering 15 million women in rural India, Google's "Internet Saathi" programme is set to expand to four new states. The programme has contributed towards bridging the digital gender divide in rural India with female to male ratio rising from one in 10 in 2015 to three in 10 in 2017, and has empowered over 15 million women in 13 states. "In the last three years, the programme has not only contributed to improving the digital gender ratio but has become a major force of change in rural India -- inspiring millions of women, their families to embrace the change and gain from the Internet in ways that we couldn't even imagine," Sapna Chadha, Director of Marketing, Southeast Asia & India, Google, said in a statement on Monday. Google's new programme aims to track real-world consumer behaviour? The programme has now expanded to cover over 10,500 villages, spread across the new states of Goa, Karnataka, Uttarakhand and Telangana and will train around 1,000 Saathis. "Keeping the momentum of this initiative, we will be continuing our outreach in the next 150,000 villages to improve digital literacy and create sustainable livelihood opportunities for women in rural India," said Raman Kalyanakrishnan, Head - Strategy, Tata Trusts. Currently, the programme has a network of 48,000 Internet Saathis, who are spread across the villages of Rajasthan, Gujarat, Jharkhand, Andhra Pradesh, Uttar Pradesh, Assam, West Bengal, Tripura, Maharashtra, Madhya Pradesh, Bihar, Haryana, Tamil Nadu, Uttarakhand, Goa, Karnataka and Telangana. You can use 3rd party tools, for this. You can ask to your service provider.